The Life Fridays, October 24th 2014, at Playhouse Nightclub features music by celebrity FRED MATTERS, along with opening deejay set by deejay VOLTERRA. The Life Fridays party will begin at 10:00 PM inside Playhouse, located at 6506 Hollywood Blvd in Hollywood, – 10:00 PM. Make sure to arrive early, dress to impress and be 21/over with ID. To RSVP, contact VIP host Jamie Barren at (310-749-9029), everyone will be on THE Jamie Barren VIP List at door. 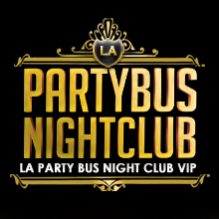 We invite you to experience the best of Los Angeles nightclubs Hollywood nightlife parties every Friday with Playhouse nightclub VIP guest list services and Playhouse bottle service reservations. In the past few years, Fred Matters has been featured on Hollyscoop TV having performed at exclusive events for Sundance, SXSW and The Grammys. Recently, he was hand selected to perform at Heidi Klum’s Annual Halloween Party hosted by TAO Las Vegas. He makes frequent appearances at Marquee, TAO and numerous Hollywood hot spots and is championed by industry heavyweights such as LMFAO, David Arquette, Will I AM, Nick Cannon, Snoop Dogg, Tribe Called Quest, Macy Gray, George Clinton and Dave Navarro. His deep appreciation and understanding of music coupled by his ability to “read a room” sets him apart from his peers. For Fred Matters, djing is not just a career but a way of life.